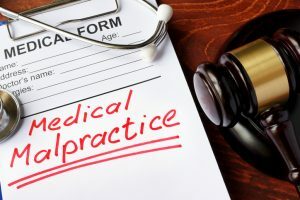 The definition of medical malpractice is any act or omission by a physician during treatment of a patient that deviates from accepted norms of practice in the medical community and causes an injury to the patient. In plain English, medical malpractice is when a doctor fails to provide the basic care for a patient and pushes them further into harm’s way. When you go to the doctor for treatment or a procedure, you are putting your trust in that doctor to perform the treatment to his/her highest capability. You expect them to treat your body as they would treat theirs, with respect. However, this is not always the case. 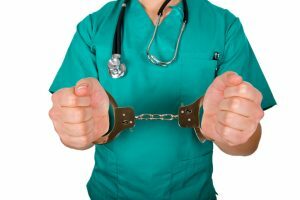 Some doctors push the limits of their ability and that can be viewed as reckless behavior. If injury, illness, infection or death is the result of a doctor’s reckless behavior, then you may be entitled to compensation. Medical Malpractice cases tend to have a shorter statute of limitation; it is important that you contact an attorney today. Eisner Law Firm has a team of experienced attorneys that are ready to fight for you. Simply put, the doctor actually saw you as a patient. In order to start forming a case, you must have proof that the doctor’s neglect caused you harm. There must be a direct correlation between the doctor’s neglect and the injury that you incurred. Damages include physical and mental pain. Damages may also include financial losses including medical bills, loss of worker wages, loss of future work wages. If all of these factors can be proven, then you have medical malpractice case on your hands. Our attorneys are experienced in these kinds of cases. We have former medical professionals and former insurance agents on board that will help our attorneys build you a case that will give you the largest return possible. If you have been affected in any of the listed areas, please do not hesitate and reach out to Eisner Law Firm. Your doctor should follow the basic guidelines when conducting a medical procedure. Sometimes doctors make an honest mistake, but other times they make a reckless mistake or just neglect the basics. In the case that they make a reckless decision that directly results in an injury, you may be able to make a case for damages. The definition of informed consent is “permission granted in the knowledge of the possible consequences, typically that which is given by a patient to a doctor for treatment with the full knowledge of the risks and benefits”(Google Dictionary). In other words, if the doctor does not make you aware of the risks and benefits of a treatment for your current injury or ailment, they do not have your informed consent. If your doctor does not get you informed consent, by law, they are not allowed to give you the necessary treatment. If they perform the treatment anyway, you have an informed consent case. Depending on your case, you may be entitled to different types of damages. The first type of damages we will analyze is compensatory damages. Compensatory damages cover medical bills, lost earnings, and other financial damage. Another type of damages we will analyze is non-financial damages. Non-financial damages can best be explained as pain and suffering. The last part we will analyze are is a possibility to make a case for punitive damages. If you are not familiar with the term, punitive damages include compensation that surpasses the financial damages and possible punishment of the doctor. We can only make a case for punitive damages if there is evidence that the physician acted with malice. Complexity: Medical malpractice cases involve a lot of time and research. This is due to the nuances of the field of medicine. Proving Negligence: Proving negligence in a medical malpractice case is difficult. The reason is that the doctor will not admit fault and it will take time to gather the evidence necessary to prove your case. Statute of Limitations: The statute of limitations for medical malpractice is generally inside of two years. Depending on the state it may be shorter or longer. Affidavit of Merit: One of the documents you need for a medical malpractice case is an affidavit from a different doctor stating that your injuries are a result of medical malpractice. Exper Witness: Medical malpractice cases often require an expert witness to prove your case. An expert witness will solidify your case if they can provide evidence that there is an alternate treatment or an error in the medical procedure. When you go to a doctor for treatment, you expect to not only receive the right treatment, but you expect to come out of the office healthier than you went in. 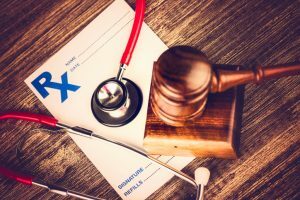 If you come out with an injury, infection, or illness that you did not have before the procedure or treatment, you might have a medical malpractice case. It can be difficult to determine if you have a case or not. Contact our attorneys to help guide you through your case.